A comprehensive Melbourne city guide for first time visitors. We answer all your questions on the top things to do in Melbourne, day trip excursions, when to visit and the all important where to eat, stay and play to get the most out of your time in the city. Melbourne is Australia’s second largest city and the capital of the State of Victoria. It’s a city both Drew and I have been to a number of times for business but this was our first visit to the city together just for fun. 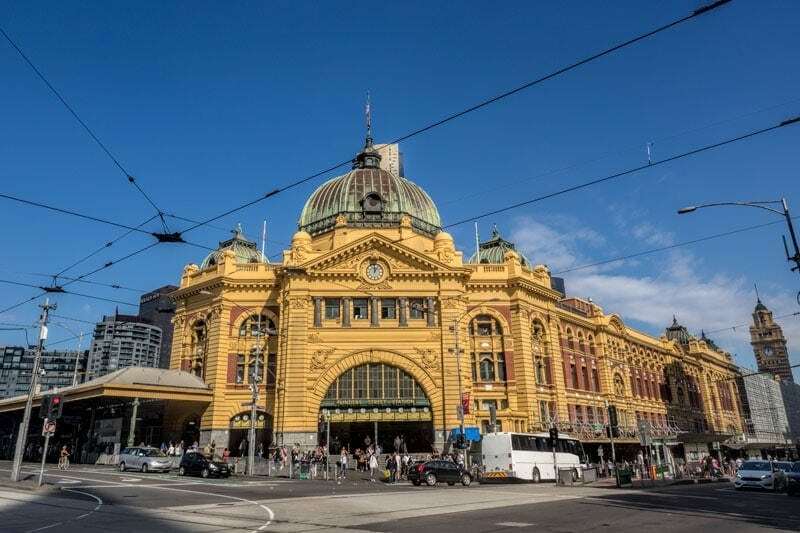 We had several days set aside to explore the city center and find our top things to do in Melbourne before moving on to some of the surrounding areas in Victoria. We put together this Melbourne travel guide aimed at first time or infrequent visitors to the city to give a comprehensive overview of all that this vibrant city has to offer in just a few short days. 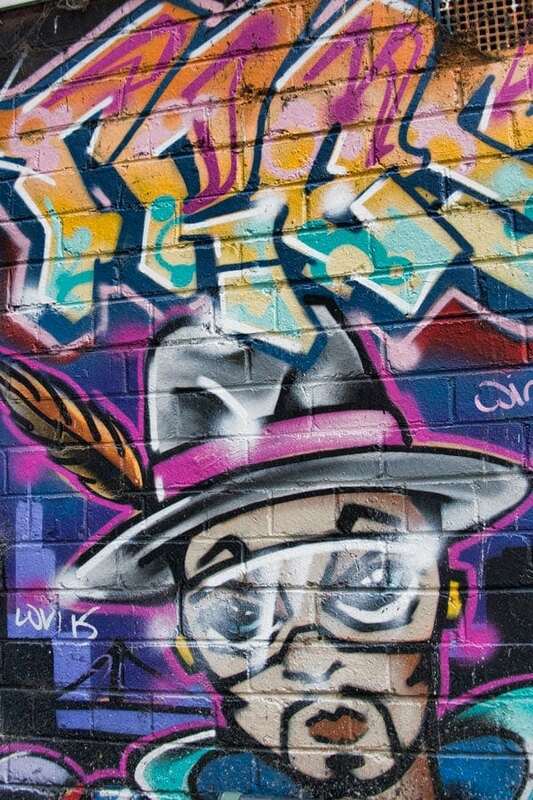 Melbourne is well known for its narrow inner city lane-ways strewn from top to bottom in bold and colourful street art. Seeking out some of the better and lesser known alleys was high on my list of things to do in the city and I was not disappointed, there is some stunning talent out there. 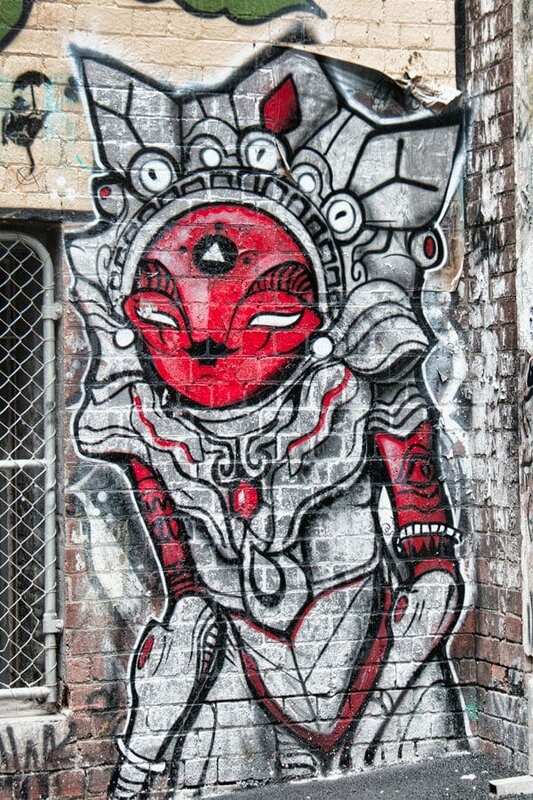 Make sure Hosier Lane and ACDC Lane are on your list but if time allows just have a walk around and see what you find. Some of the more impressive works weren’t even marked on the various street art maps. Something I was a bit surprised at was the amount of tagging and defacing on the various murals. 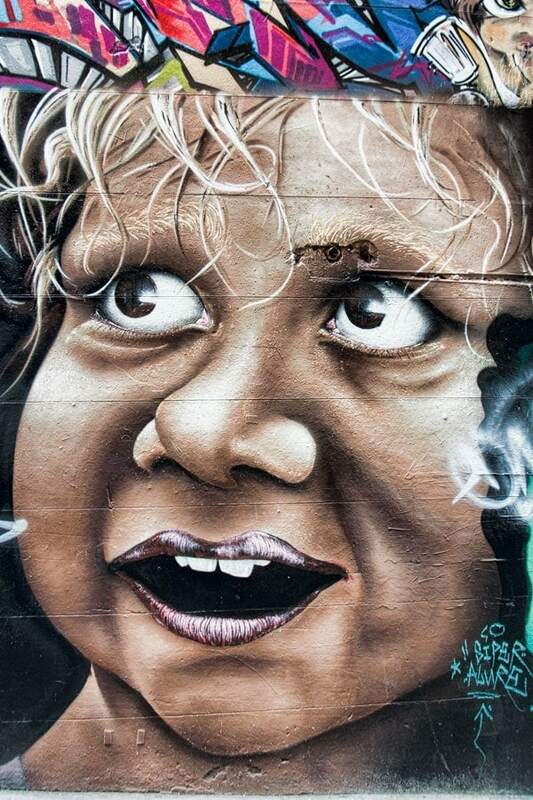 Many Australian cities now have some impressive lane way art installations but generally tagging of the artists work is seen as disrespectful and rarely happens. If organised tours are your thing there are a number of walking tours around the city that will take you around their circuit, if not I’ll have a self guided walk of our top picks up on the site in a few weeks to get you started. The city trams are an easy way to get around and if you’re in the central city area bordered by Docklands and the river all transport is free so there’s no need to work out the local payment card system if you don’t plan on leaving the city limits. We particularly loved the historic city circle tram that stopped just outside our hotel, it runs both clockwise and anti-clockwise around the circuit so you know if you jump on eventually you’ll end up back home and with a bit of a tour narrative to help orient you on the city highlights as you go. It’s a great way to orientate yourself when you first arrive or save you feet at the end of a long day pounding the citys streets and lane-ways. Vic market as it’s affectionately known by locals has a colorful, alluring and sometimes controversial history dating back to 1878 when they were officially opened but markets existed on the site well before that time. Today they sprawl over two city blocks and you can buy everything from clothing to vintage records, the freshest local produce to fast and tasty international fare. If I lived here then the deli and meat halls would have to become part of my regular routine – there are 10 fishmongers alone in this space and the variety of Mediterranean deli treats really is just too good. If organic is your thing they have you covered, need Asian pantry staples they are here too and some obscure fruit and vegetable, they are fairly certain to be able to accommodate you, I even saw a huge box of durian. The dockland is a newer area on the city fringe to the north west of the city centre. The old docks have been cleaned up and are now home to expensive leisure craft, some fabulous restaurants and bars, top hotels, the large Harbour Town shopping centre. In the Docklands area you’ll also find the Melbourne Star Observation Wheel, a giant ferris wheel. 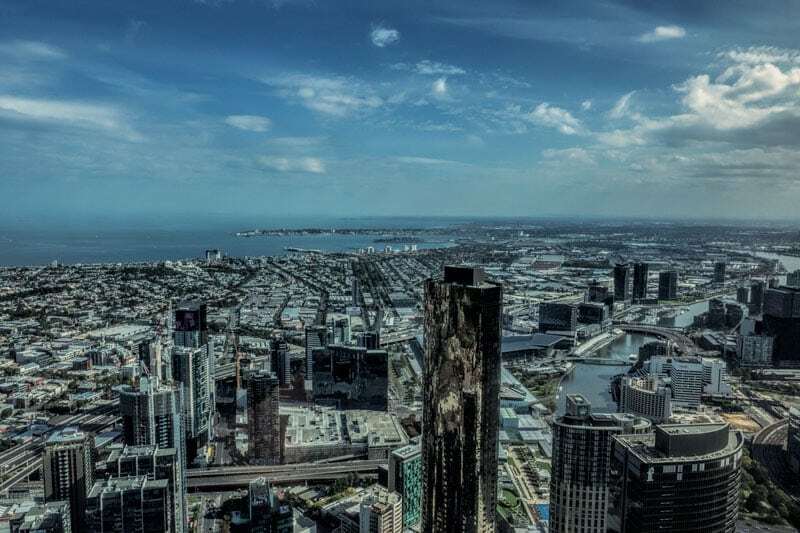 At 120 metres tall it offers some good views of the Docklands area and beyond on it’s 30 minute rotation and would be especially good on a night with an impressive sunset. It’s a nice area to wander around the waters edge, watch the entertainments and perhaps grab a coffee looking back over the water towards the city. We really enjoyed some of the restaurants around here with the slightly more relaxed pace. The Yarra River runs through the centre of Melbourne city and it’s banks are lined with wide promenades, restaurants and bars. On the Southbank there is usually some live entertainment happening, take a walk, cycle through or grab a table in one of the many bars and cafes and watch the world go by for a while. Something we like to do when we arrive in a new city or region is look for some elevation to get a perspective. Mountain outlooks are in short supply in the city and you can’t get a better perspective on the city and surrounds than you can from Eureka Skydeck 88. The weather was on our side, after a misty and cloudy morning the sky’s cleared and we were treated to blue skies and views out as far as the Dandenong ranges, the coast and toward the start of the Great Ocean Road. Closer in you can see the Yarra River wind it’s way through the city, out to Docklands and across the expanse of sprawling Melbourne city. Melbourne city was founded in 1835. On world standards that doesn’t make it terribly old but it has a beautiful collection of heritage buildings and monuments preserved across the city that are well worth checking out as you wander around or even targeting some of these into your route as you explore. Some examples not to miss are the Flinders Street Station building which opened in 1910 shown at the top of this post, the Supreme Court Building, the old Treasury and the Royal Arcade. There are a few good sized parks around the city fringe. The largest, located on the Southbank is the combined park space of the Melbourne Botanic Garden, Kings Park and Queen Victoria Park. The tan is a popular walk around the outside but in the weekend crowds it can be a bit intimidating with the throngs of runners, walkers and racing bikes weaving between people at speed. For a more relaxed stroll take to the grass and minor paths to discover what lies within. This really should be way up the top of the list, so much of Melbourne’s culture and social vibe comes from the variety, quality and proliferation of fabulous restaurants, cafes, bars and pop-up foodie events. In its gourmet appeal Melbourne is truly multicultural. We were really impressed by Melbournes restaurants and from this perspective alone could have easily stayed much longer int eh city. See a few of the notable recommendations in the ‘Where to Eat in Melbourne’ section below. Melbourne is a city of loyal sports supporters but Etihad stadium’s 55,000 crowd capacity is a multi-use venue and isn’t reserved exclusively for sporting crowds. While AFL, rugby union and cricket are played here regularly it’s also been the venue of some music greats playing to capacity crowds including U2, Bon Jovi and Robbie Williams. The stadium is the only one in the southern hemisphere with a fully retractable roof enabling the all weather play and protecting the grounds themselves from the elements where necessary in Melbournes sometimes extreme weather. It’s no surprise that Melbourne is the most livable city in Australia or that it’s as popular as it is with visitors with so many choices to fill you days here. The city of Melbourne is well known among locals and visitors alike as being a city that has all 4 seasons in the one day. Even knowing that it can still be a little surprising to those from out of town how quickly and dramatically the weather does change, just ask a local Melbournian. The decision on what time of year you travel to Melbourne will have a lot to do with your preferred seasons and extremes of the climate. In general Melbourne has a stable temperate climate. Summer (Dec – Feb) is generally mild averaging 14° to 25° C and these are the driest months of the year. Be prepared for extremes though with Melbournes temperatures peaking in the 30’s or even occasionally hitting 40. Fortunately Melbourne rarely experiences humidity which can make the higher temperatures more bearable. 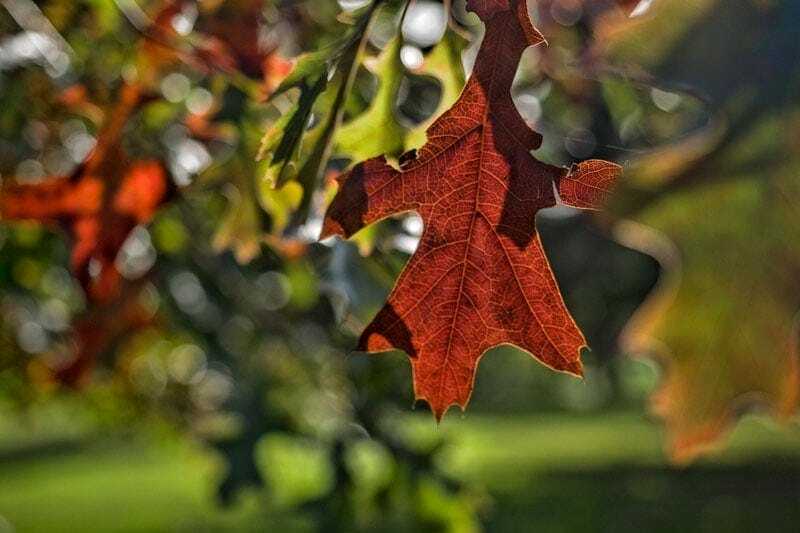 Autumn (Mar – May) is a great time of year to visit. The leafy parks and city avenues turn jewel toned as autumn progresses and the leaves float down forming a carpet of coloured leaves. Average temperatures range from 11° – 22° C. Mornings are a bit foggy but they often clear to sunny blue sky days. Winter (Jun-Aug) temperatures are in the range of 6° to 14° C. There is significant rain at this time of the year, frost can form on the ground and grey skies are dominant, perfect for trying out the newest bars and restaurants the city is well known for. Snow falls in Victoria’s high country but not in the city itself. Spring (Sep – Nov) is the most unpredictable, windy and wettest time of the year but there are some lovely days in there too. 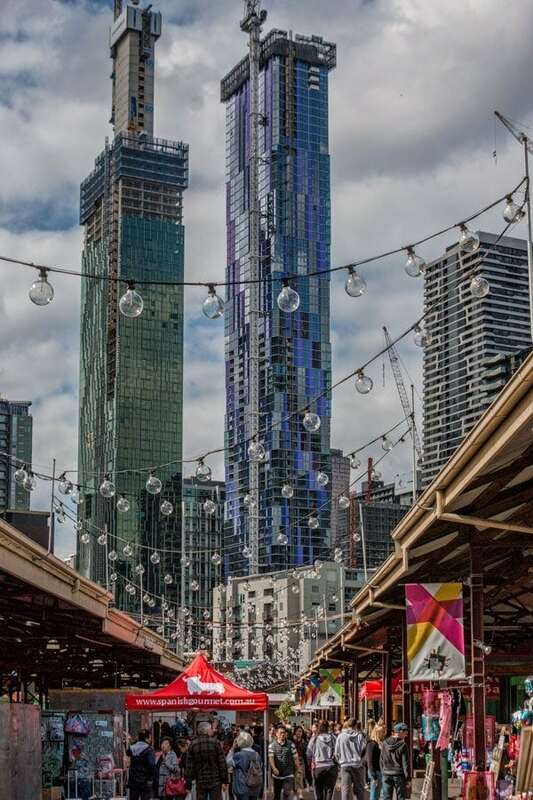 Temperatures will range 10° to 20° C.
The city is fairly spread out but as we were there over the weekends, not for business, I intentionally avoided the business district and opted for Docklands on one weekend and South Wharf on another. Your choice is likely to be guided by what you plan to do in the city but both of these options offered plenty of things to do and restaurant options nearby and convenient transport options if you don’t have your own vehicle. Stylish, contemporary designed accommodation within the Docklands entertainment precinct, it offers great value for high-end hotel style rooms. Momami restaurant and bar onsite is excellent and good value with many other great restaurants only minutes away. Walk to the CBD or grab a free city tram just outside the door. The Pan Pacific on Melbourne’s South Wharf was a great location, the stylish rooms all enjoy floor to ceiling windows with views either of the Yarra river, city or out towards the coast. Rooms are clean, well appointed and the staff friendly and helpful. We really enjoyed this location with dozens of restaurants, cafes and bars just outside the door and many more a short stroll along the south bank. In Melbourne we booked our accommodation through online booking sites. We use and recommend Hotels Combined which compares the major booking sites to identify the best value for your selected property or criteria but still enables you to select and book with your preferred and trusted brand. The third area in the city we would look to stay in future would be the central business district in the midst of the city lane-ways and buzz. Citidines Bourke Street – If you’re looking for a bit more space, perhaps self-catering and in the midst of Bourke Street we have enjoyed Citidines in other cities in the past and liked this look of this one for a future city escape. There is no shortage of food options, as you’d expect from a city so widely acclaimed for it’s foodie culture. A few places we’d recommend as a must try range from street food through to some superb restaurants. Located in the Peppers Dockside restaurant only a few steps from the wharf and Etihad stadium. Chef Tony Moss has created a menu that highlights Asian Fusion in a menu loaded with beautifully presented shared plates, his dishes focus heavily on good quality local produce and bold but balanced flavour combinations. Going with a chili theme I’m going to recommend the chili beef rib and this is one place not to leave without dessert, the chili chocolate fondant genuinely may be the perfect finish. Both dinner and breakfasts here were faultless from the food to the professional but friendly staff. Read our review. If you’re in Melbourne then Queen Victoria Market’s food section is somewhere you must visit. The deli hall inspired intense jealousy with such an incredibly diverse range of fresh treats but no kitchen or means to cold store anything, something like that nearer home would be definitely over-used. That said there are still a few must try things as you walk around the market, the donuts for example are the stuff of local legend. This donut truck has served Melbourne from the market since the 1950’s with the same era bus and the very same recipe. While I’m not mad about the current overloaded donut craze you have to join the permanently long queue here to give these a try. They are the traditional type with jam filling and cinnamon sugar coating, served pillowy, piping hot and perfectly cooked. With a queue like this they come straight from the fryer and into your hand. With over 60 years of practice with the one recipe it’s not surprising they have it perfected. There’s no diet version here but it’s a piece of local history not to be missed. Melbourne is celebrated for it’s Mediterranean cuisine so it really does need to feature into your menu selection at some point. We chose Byblos on the city side of the Yarra River, the evenings were still mild enough to sit outside thanks to their large heaters and the outlook was fabulous. It’s a large serve but if you have the appetite and aren’t familiar with Lebanese food I’d highly recommend the mezze banquet to try a variety of flavours and styles. Lebanese chef Nicolas Mattar has created an excellent menu building on the fresh local ingredients. As temperatures cool, and after a good few hours of walking, a hearty bowl of udon noodles sounded extra appealing. Although in case you were wondering I’m pretty sure I’ve never said no to Japanese noodles. This place was packed at lunch time but we got a table and ordered a tempura udon and pork ramen. Both were very generous servings, flavourful broth and delicious. The tempura was crispy and served alongside rather than in the bowl which I much prefer and there was plenty to share. A fabulous combination of traditional and modern Japanese dishes. Everything was super fresh and beautifully presented, the chef certainly has a knack for combining flavours and textures to create something exciting with each dish on this tapas style menu. Akachochin is on the river front at the quieter western end of the Southbank. Highly recommend the Waghu tataki and nigiri sushi platter, although couldn’t fault any of the dishes we ordered. A set of low mountain ranges 35 km south east of Melbourne are a great place to escape for the day or a little longer. The dramatic Mountain Ash are abundant here and can tower 100 metres above the ground with a lush undergrowth of tree ferns the scenery is stunning. Make sure to visit some of the famous gardens including the William Ricketts Sanctuary and take time to stop and enjoy the peace and birdsong at one of the many excellent cafes along the drive. The Yarra River that flows through the heart of Melbourne city originates in the Yarra Valley. The Yarra Valleys has earned its well deserved reputation as a notable wine making district but there are also a range of quality artisan food producers in the area, perfect for a few days escape from the city. Take a drive through the small towns and along the Black Spur Drive beneath the dramatic forest out to the friendly and beautiful town of Marysville. If you want to enjoy a day of tasting the wines without nominating a duty driver consider a highly rated small group tour led by a local guide. This Yarra Valley tour includes your drinks and a winery lunch. A shorter excursion from the city, just 30 minutes on the tram is St Kilda beach. You may recognise the famous bathing boxes lining the beach, the iconic Luna Park and a great selection of bars and restaurants. If you make your wayto the tip of the breakwater at sunset you may even spot tiny fairy penguins from the colony here. This is an iconic road trip and one we can now highly recommend from first hand experience. Although the major stops such as the 12 Apostles are extremely busy the scenery is so stunning you can somewhat over look that and if you have your own transport there are plenty of lookouts and walks that the tours don’t include that are every bit as impressive. This should be a must see for every Australian and visitor. If time is limited consider a small group tour such as this one that hits all the highlights and lets someone else do the 14 hours of driving while you enjoy the sights. Phillip island is located just off Australia’s southern coast and can be accessed by bridge from the mainland. It’s best known for it’s nightly parade of little fairy penguins but there is much more to see and do here. Beaches, seal tours, an arts trail, artisan food producers and even motor sport are some of the options on offer. If you don’t have a vehicle or prefer not to self drive you can join a Philip Island tour from Melbourne taking in the wildlife and scenery. Melbourne is serviced by two airports. Melbourne (Tullamarine) Airport is the most convenient if you are headed to the city centre it’s 23 km away, the alternative is Avalon at 55 km west of the city. Generally flights into the smaller Avalon airport will be slightly cheaper but remember to price out your transfers when making your choice, the reduced frequency and higher cost can quickly erode the benefit. For visitors to the city your options are taxi or transfer services, unlike many major cities Melbourne doesn’t have a train system running to the city from either Airport. Two popular options for transfers are Skybus and Starbus, we’ve used both and the prices are similar and each has its advantages. For 2 adults transfers are a fixed price and work out to be approximately half the cost of a taxi. Skybus is very simple to find and buy tickets on your arrival, you don’t need to book but it transfers to a city depot that’s a bit out of the way and you then need to transfer to smaller shuttles to be taken to your hotel from there. That takes a little longer and you need to be quick to stow your luggage on the coach as the baggage space was relatively small for the number of people all with suitcases. With Starbus you need to pre-book. Their airport collection point is less obvious and a slightly longer walk, however they handle and stow the luggage for you and they collect or drop you directly to your hotel. Their are a good choice of rental car companies available for collection from the airport or the city. Rental cars aren’t as cheap in Australia as they are in many parts of the world but it’s still a very flexible and cost effective option if you want to explore outside the city limits. Driving in Australia is on the left and speed limits and other information on road conditions are clearly marked. It’s a very scenic country to drive through and if you’re an independent traveller as we are then you’ll appreciate the opportunity to stop and explore when and where you want and see places that the tour buses can’t get to. Melbourne city and the highways in and out have a few toll points on them, the major rental companies provides a toll device that pays these and then directly charges them to your nominated credit card on your return. We rented a car for 6 days and travelled quite extensively in the surrounding area during that time, our toll bill came to $25. Within the city centre itself we recommend getting around on foot or using the very effective (and free) tram systems. Even if you don’t need to a lap on the historic city circle tram is worth doing to orientate yourself in the city. To head out to the suburbs there are some tram routes (eg St Kilda beach) or commuter bus and train services are available. Melbourne city has a stored value card for public transport called the Myki that you touch on and off for each trip. You can pick these up from some hotels, at 7-Eleven stores or transport hubs. Melbourne is an interesting city and the perfect starting point to explore Australia. A couple of days is a good amount of time to explore the city centre and it’s highlights but allow longer if you want to get out to some of the surrounding regions and we highly recommend that you do. Like the look of Melbourne? Save these to Pinterest to read later. Have questions? We’d love to hear from you in the comments section below and will do our best to provide answers to anything not covered above. Great article! This really covers it all – we loved our visit to Melbourne and would go back in a heartbeat! I’ve never been to Melbourne but friends have and I know it’s a city I’d love. I had no idea how wide the range of attractions was though – I’m bookmarking the botanical gardens and the Queen Vic market. Also love the range of places outside of the city that can create a great balance with a city break trip. I was in Melbourne for work a couple years ago and loved it. I managed to see quite a bit, even thought I was working, but looking at your list I feel like I need to go back for much longer. 🙂 Wish I’d had this guide a couple years ago! Thanks Cate, think we found some sweet treat and dessert places that would be right up your alley if you do make it back! I sometimes enjoy organized street art tours; oftentimes guided by some of the artists, or at least by those very familiar with the scene. That said, will be looking forward to seeing your picks. I’ve never been to Melbourne, looks interesting. But then all of Australia is. The country is an expensive place to travel, but I hear Melbourne is more so than other places. Is this true? Hi Peter, it’s true that Australia can be an expensive place to travel and live compared to other countries, the price of its relative isolation I guess. We don’t find Melbourne particularly expensive compared to anywhere else here. Accommodation, meals and things to do are, the usual travellers costs are comparable. We felt the restaurants were actually good value (quality for price) over some destinations but specific areas that visitors usually want to see outside of Melbourne such as along the Great Ocean Road were generally very expensive for accommodation due to the limited supply. Wow, those new towers going up are incredible. Changes the skyline a bit. I am really wanting to go to Melbourne soon. I keep meeting people from there who rave about it. I have been collecting information on Melbourne since a few months and this post fits in very well. I have been wanting some advice on where to stay, and thanks to you…I have an idea. Consider this guide pinned! I’m dying to get to Australia in general, as I’ve never visited. Sydney gets so much love, but I hear fabulous things about Melbourne. Holy cow — I had no idea that Melbourne had such awesome architecture! Those metallic towers are gorgeous and actually remind me of the UAE. Of this list, I think I’d like Queen Victoria Market the best. What a great guide to Melbourne. This a great resource for anyone visiting for the first time. I love that you share how many days is good for a visit. Really helpful. I recall visiting Sydney Toni during mid June and it was cold! So weird for us New Jerseyites who are enjoying the middle of summer at the same time, with sometimes 40 degree temps (C of course 😉 on the other side of the globe. Twas a few above 0 when we traveled through. That jumped out at me as I spotted Melbourne’s temp guide. Flipping the world and you have a full 180 😉 Super post. Great guide. I love Melbourne but please don’t tell D, he might divorce me – lol! LOL your secret’s safe with us. For the city itself I’m a little torn but I think I like Sydney and Brisbane better to be honest but there is SO much beauty, wildlife and interest in the surrounding areas. A great list – I love Melbourne! My only other suggestion is the National Gallery. It has an eclectic collection of works, including a great Renaissance collection. That is a great addition to the list Anne, Thank you!